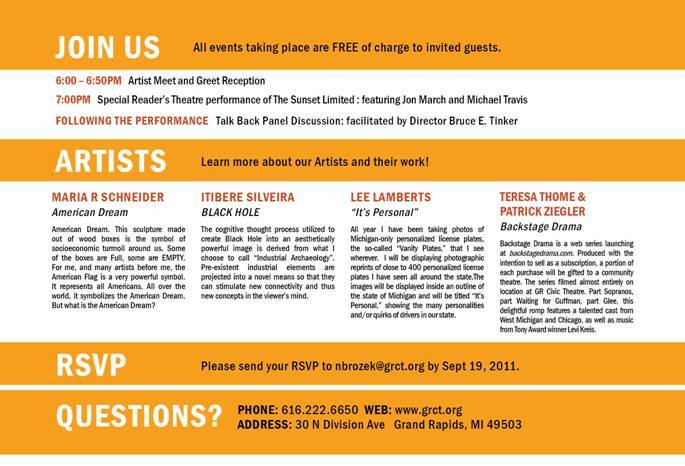 Art Prize, a radically open art contest in which people vote for the art, will start on September 20. My sculpture American Dream will be standing across from the Grand Rapids Civic Theater close by the Civil War monument. I will make the trip, a pilgrimage for me, to install it and present at a panel at the Civic Theater. As I explained in the recording I did for Art Prize, this sculpture made out of wood boxes is the symbol of socioeconomic turmoil around us. Some of the boxes are full, some are empty. For me, and many artists before me, the American Flag is a very powerful symbol. It represents all Americans. All over the world, it symbolizes the American Dream. But what is the American Dream? The sculpture asks the viewer Tweet his/her #americandream. I have been monitoring and collecting these tweets since I posted the tag a few months ago. The tweets have become much more political in the last two moths. The phrase is all over now. The flag is just the icon. You can follow me on Twitter @MariaRschneider. The Art Prize contest runs from September 20 through October 9 when the ten winners are announced. Register and vote if you are in Grand Rapids.